LAWRENCE — Headquartered at the University of Kansas School of Engineering, a research team is envisioning what U.S. roads, highways, bridges and supporting infrastructure could look like in coming decades — a time when autonomous vehicles, more traffic and harsher weather driven by climate change could stress the American transportation system. The work is taking place under a planning grant from the National Science Foundation and includes multidisciplinary researchers from multiple institutions. The researchers hope the one-year, $100,000 project might result in establishment of an Engineering Research Center at KU to advance basic science that will underpin next-generation transport technology. "The focus of the planning grant is to develop a center that will be the leading basic science and enabling technology center to drive the intelligent infrastructure for safe, efficient mobility for all," said Anil Misra, professor of civil, environmental & architectural engineering, who is leading the effort. "It will be centered at KU and involves four other universities — the University of Minnesota, Purdue University, the University of California Berkeley and the City College of New York." In workshops, panel discussions and retreats this year, the team will assess emerging technologies that could improve U.S. roadways and infrastructure with an eye toward making them friendlier to the environment and more resilient to higher traffic volume and a spike in severe weather. Boosting safety will also be a primary focus of the work. "A big challenge is the accident rate, the number of deaths per 1,000 people," Misra said. "A lot of these accidents happen at intersections — this is one challenge. Intersections that are intelligent and can warn incoming drivers, or self-driving cars that can warn each other, will reduce accidents, as well as pollution and fuel usage." One emphasis of the team's work will be on developing "active structures" with sensors to analyze traffic conditions and alter road conditions or communicate with vehicles to boost safety. "One example of an active structure is a highway system that will then transform being two to three lanes going in one direction because of heavier traffic volume, and it will seal off an oncoming lane from the other direction. Active structures have embedded sensors — you see that already; a traffic signal will change the timing of a red light and green light depending on traffic. Another example is in the realm of big structures — a bridge structure could change vibration characteristics depending on input like earthquake or an extreme event like heavy winds. That's a little more futuristic, but it can change its stiffness or vibration characteristics so it can survive that extreme event." The KU researcher said the team would assess a range of other technologies to cut vehicle emissions and fuel consumption. "One way is by reducing the amount of time cars are driving by making the route the most efficient," Misra said. "Another way is by putting alternative material in places where it's possible — of course we won't replace all the asphalt and concrete, those are the basic road materials, but if we can improve their longevity by making strategic changes in locations where they break down, by introducing new materials called 'metamaterials,' all of these will reduce pollution and environmental impact." Much public discussion of transportation and road infrastructure in the U.S. focuses on systemic disrepair and inadequacy, but Misra said the center would focus on transformative possibilities that could save taxpayer funds. "The ideas the center wants to develop will speak to addressing the crisis," he said. "The current solution is to spend more money to repair a crumbling system — improve the bridges, improve the pavement — but these are very expensive options. We need to completely rethink how we should design the next generation of infrastructure. Because of the crisis, there's an opportunity, but the solutions aren't available at the moment. The center will look at technologies that maybe aren't even on the horizon, — some will appear in the next two or three years, and that technology will start to mature in 15-20 years." Work at a prospective center would inform education for a generation of students in several disciplines. "It's not just engineering," Misra said. "Our focus will be on the societal need for safe, efficient, resilient mobility and intelligent infrastructure — for that you will need relevant social scientists. Urban planning is one, and we'll have people from physics and mathematics, those are important fields that underlie any engineering enterprise. The focus is on basic science and enabling technologies. Past basic science, we'll develop ideas that will pertain to curriculum for developing workforce and translating some of those ideas into practice." 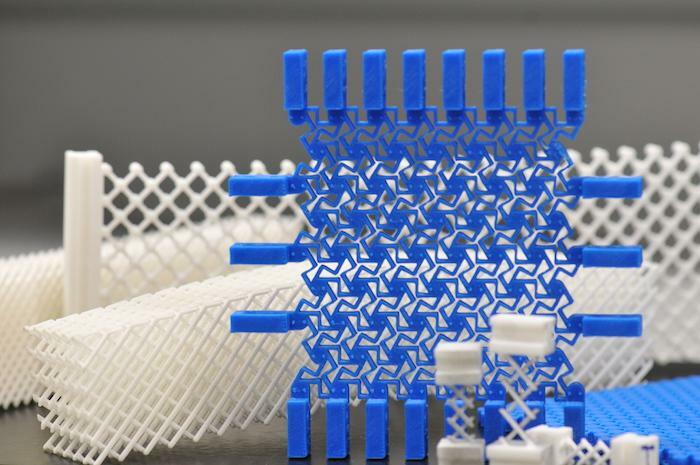 Misra studies metamaterials, or materials that are designed for a specific application: "It's a material that doesn't appear in nature, and is conceived and designed in response to a specific functional requirement," he said. Misra's current research, funded by a separate $380,086 NSF grant, centers on granular solids, a kind of metamaterial that could transform transportation infrastructure like bridges. "Almost all solids that we use in engineering have a granular structure at some spatial scale — micrometers, nanometers, millimeters, centimeters and all the way up to kilometers. For example, concrete is a granular solid made of grains that have been stuck together. A ceramic cup from which you drink your coffee is made of power that has been compressed and fired in a furnace. Every structure we build on Earth is made on ground, which is a granular solid made of particles in a confined condition," Misra said. "In the past, we dealt with these materials as they were presented by nature, or we could do some chemical treatment to create something like concrete. The behavior of these materials is to a large extent governed by how two grains interact. We've been trying to predict behavior of these materials, whose small cube can contain grains in billion and trillions. In this grant from NSF, we take the behavior from a very large collection of grains and ask how can we design the grain interaction." The KU researcher is designing the microstructure and individual grain-interactions to achieve specific properties, then using 3-D printers to create the materials with predictable properties. "We want to have a granular system to function in certain ways," he said. "So, what do we need to do at level of two grains to the get materials to behave in a certain way?" A human brain model in a petri dish?